Event Description : MUSIC : SPICMACAY presents live performances by Pt. Kushal Das (Sitar) and Pt. 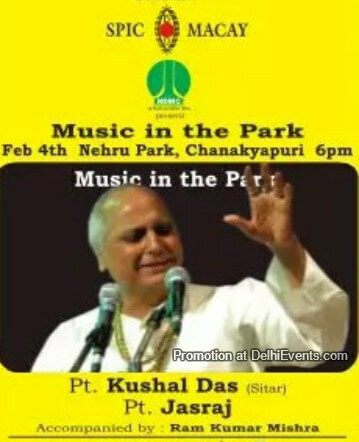 Jasraj (Vocal) as part of 'Music in the Park' Series.